Tiger Woods' 2019 season to kick off at Torrey Pines. January. 23, 2019 07:47. by Jong-Seok Kim kjs0123@donga.com. Tiger Woods, 43, has a total of 80 PGA tour wins. Torrey Pines Golf Course in San Diego, where 10 percent of those victories came from, is a stomping ground for him. It is understandable why Woods decided to make his 2019 debut in this golf course. Maybe he wanted to start the new season in a place where he feels comfortable after making a dramatic comeback last year. Tiger Woods is set for PGA Tour return at Torrey Pines on Thursday (local time). This is the first time Woods is playing in a PGA Tour event since TOUR Championship in September last year. At that time, he clinched a victory in five years and one month. He competed in the Hero World Challenge, a golf tournament hosted by Tiger Woods, in December last year. 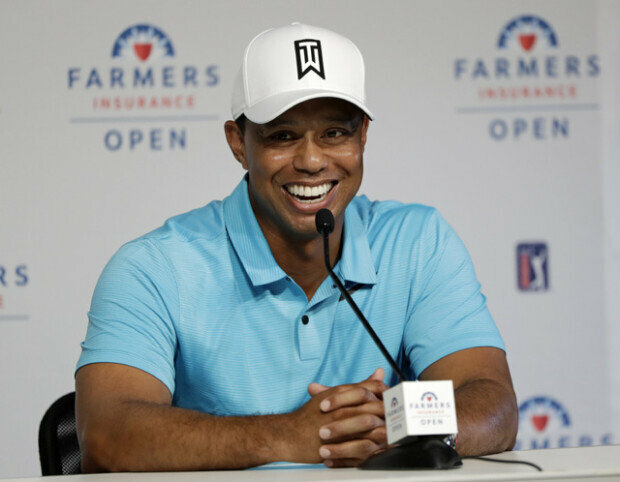 Eyes are on whether Tiger Woods will get off to a good start in 2019 after making a successful comeback last year. It is interesting to watch whether Woods will write a new history in men’s golf as he is only two wins behind Sam Snead’s official tour record for wins of 82. Woods last won a major tournament in the 2008 U.S. Open held in Torrey Pines Golf Course. For Woods, who has not won a victory at a major tournament over 10 years, becoming a champion at a major tournament is another task he has to accomplish. Expectations are high as he has experience of winning at three golf courses, where three out of four major PGA Tour events will be held this year. Woods climbed to No. 13 in the world rankings from somewhere near No. 1,200 several years ago. Could he regain No.1 ranking in 2019?